Follow our simple, step by step guide to the accounts page. This guide will help you to understand how to use the Magic Minutes accounts and subscription pages. 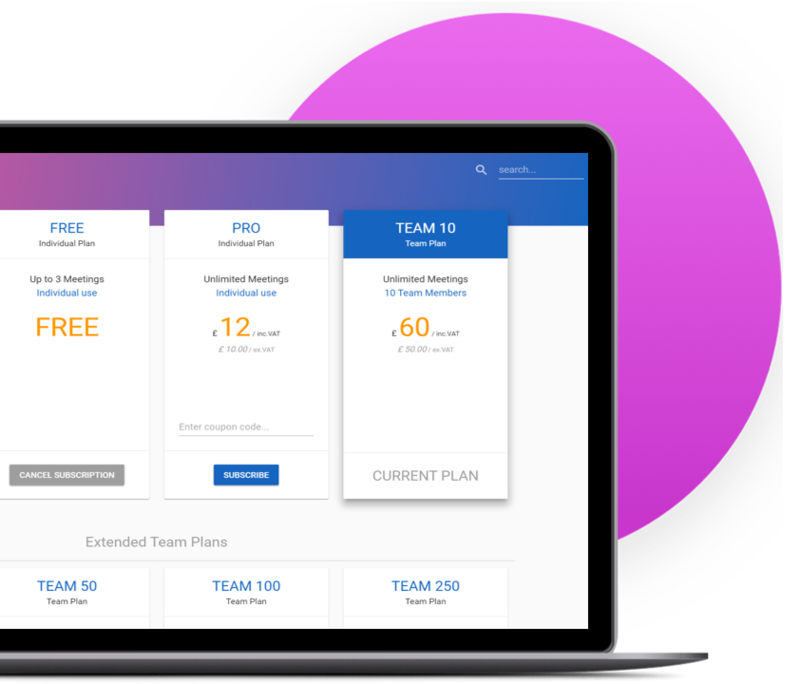 If you are part of a team you will also be able to see your other team members, and if you are the team administrator you will be able to add and remove members here. 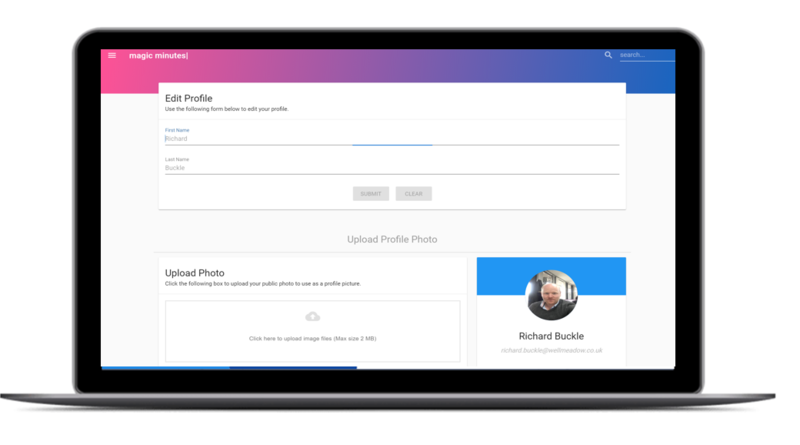 Whether you have a free account or are on a paid plan you can edit your profile details in the profile page at any time. You can upload an image here which will then be displayed in your meetings and actions. 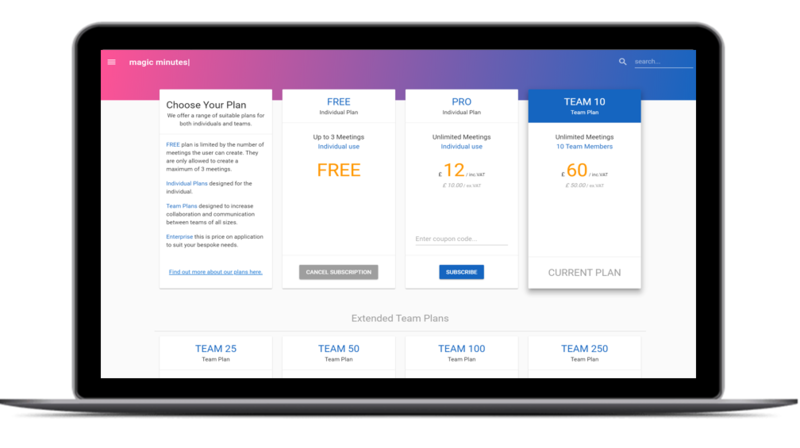 If you are on a paid plan, you can upload your logo which will then be displayed on your meeting minutes. If you are on the free plan, your minutes will display the Magic Minutes logo. You can change your subscription plan to suit your needs. 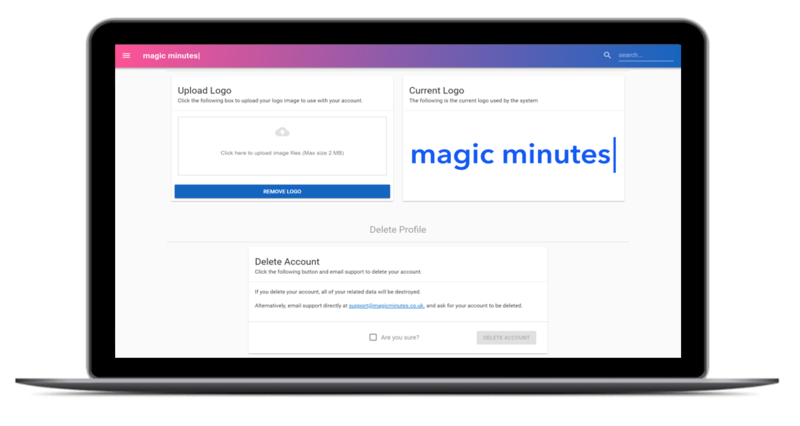 Magic Minutes uses Stripe as our payment gateway to protect your payment details and transactions.